Warning: The next terrorist attack on American soil is coming . . . sooner than you think. They can strike anytime, anywhere. A public landmark. A suburban shopping mall. And now, the human body itself. Three Middle Eastern terrorists have been injected with a biological weapon, human time bombs unleashed on American soil. They are prepared to die. To spread their disease. To annihilate millions. If America hopes to fight this enemy from within, we need a new kind of weapon. Meet Special Agent Jericho Quinn. Air Force veteran. Champion boxer. Trained assassin. Hand-picked for a new global task force that, officially, does not exist. 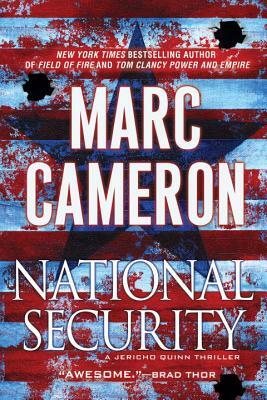 Quinn answers only to the Director of National Intelligence and the U.S. President himself. Under the radar. Brutal. Without limits.